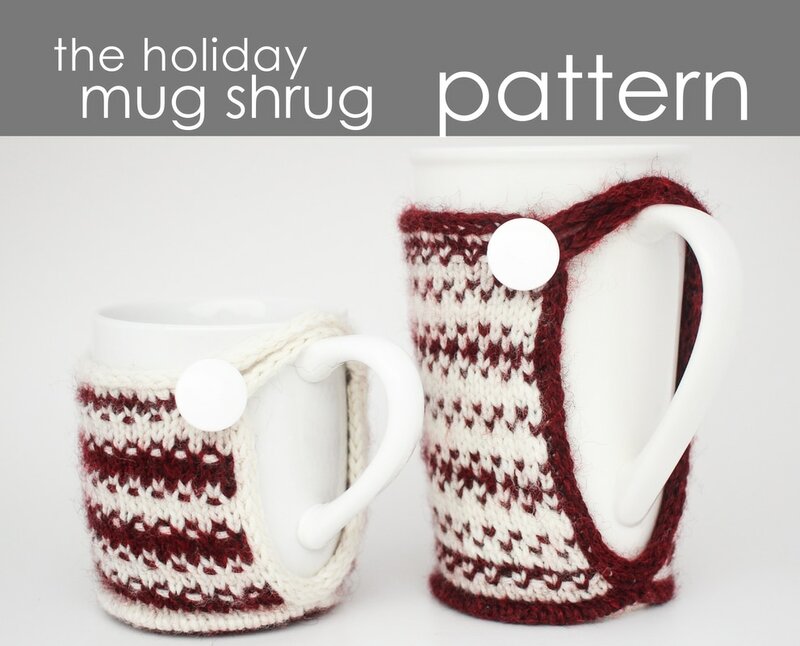 The Mug Shrug is knit from the bottom up. First knit the base and the decorative welt in the round. Then, knit the sides flat while simultaneously attaching them to the base. Finish off with the I-cord edging and button loop. This pattern includes both charted and written instructions. Techniques used: Knit, purl, working in the round, increasing, cabling, picking up sts, I-cord BO. Note: Both the Woven Cable and Honeycomb versions can be knit in any size.